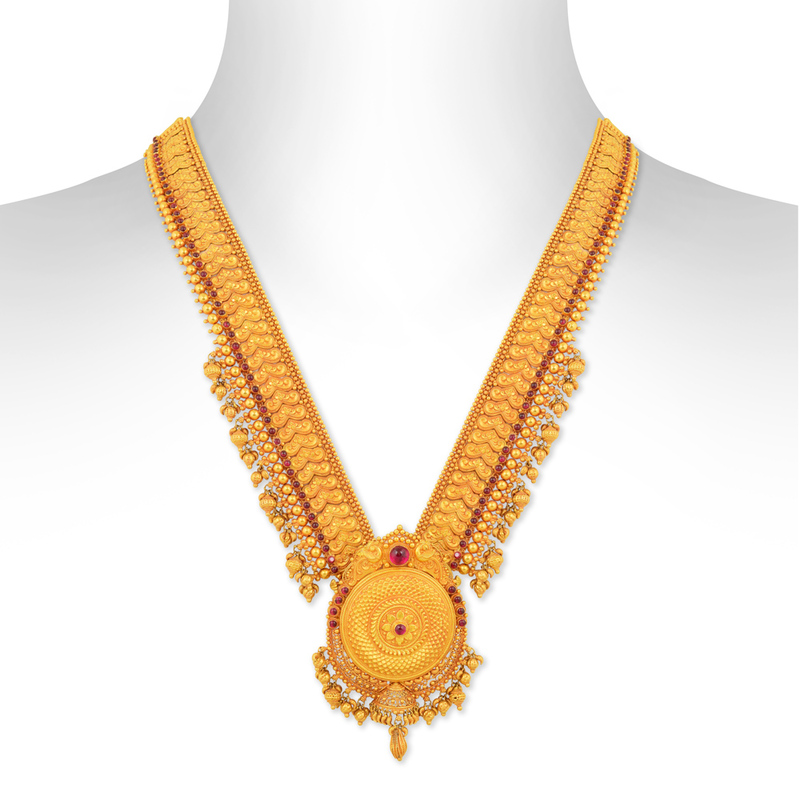 The Sunflower Gold Necklace Set has the magnificence of the necklace balanced exceptionally well with the intricacy of the carving inside. Made with 22KT gold, the earrings boldly put forth a traditional design that has always been a favourite amongst women. Subtle design decorated with little gold balls and conchs keep the traditional and classic flavor intact in the necklace.